The flight from Chicago to Kentucky was intentionally overbooked and a number of paying customers were forcibly removed to make room for airlines staff who needed to travel. Most airlines intentionally overbook flights in anticipation of people ‘no-showing’ on the day of the journey. Travel experts have warned that as many as 150 tickets are sold for every 100 seats available, reports the Mail Online. But despite the episode being a PR-disaster for United Airlines, the practice of overbooking is not illegal. British Airways has previously admitted that it has overbooked around 500,000 seats in a single year. When airlines have to remove passengers they start by asking for volunteers who are offered compensation usually in the form of money, a hotel room and a seat on the next available flight. Some companies even offer free return tickets to a destination of the customer’s choosing. But if no one volunteers, then the airline can be forced to remove paying customers ‘involuntarily’. Staff can select a passenger for removal based on the price of their ticket and the time of their booking. The company can also select people at random using a computer program like United Airlines reportedly did. Passengers who are forcibly bumped are entitled to cash compensation based on when the alternate flight arranged for them arrives at their destination. According to the US Department of Transport, this can be as much as 400 per cent of your one-way ticket or up to £1,050. While United Airlines are now offering up to £7,700 if a passenger volunteers to give up their seat. Of course some passengers, who do not have a pressing appointment and want to make some extra cash, can volunteer to be removed from the flight. In this situation, the negotiation is casual and there are no industry regulations determining how much the airline should give you. But usually the amount which the airline initially offers can and will be increased if the customer asks. Airlines will usually offer cash and a hotel room if the alternate flight leaves the next day. It is important to understand what expenses will be incurred while you wait for your new flight. Customers should ask about travel from the hotel and if they will have to pay for meals while waiting for their next flight. How did Jo Wood claim a full refund? 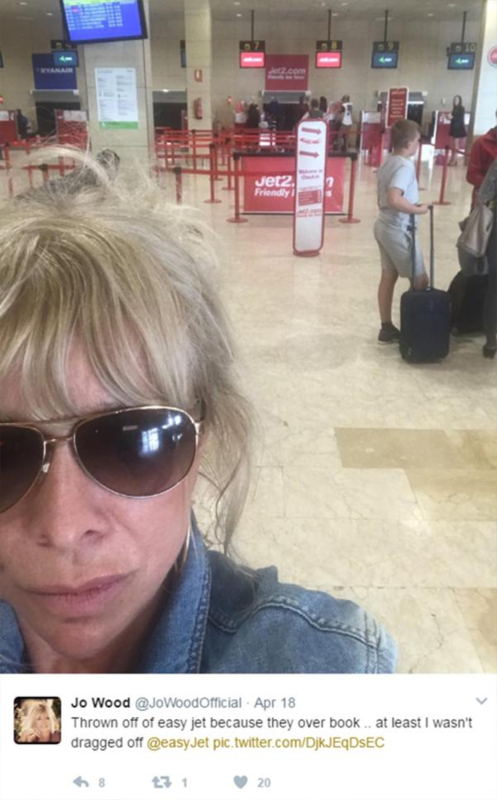 Jo Wood recently revealed that she and her partner were bumped from an EasyJet flight, when returning from a romantic weekend in Spain. She and Paul Scarborough were forced to fork out £460 for flights home with rival airline Ryanair. Speaking on Good Morning Britain, Jo explained that she was furious at her treatment - while an expert said EasyJet should have arranged alternative travel on her behalf. However, she has since received a full refund of £747 - which includes the Ryanair flights, £167 for her original tickets with EasyJet and £120 for her taxi home once back in London. What happened on the United Airlines plane? The horrifying incident which involved an elderly man being dragged off a United Airlines flight occurred on April 9. The plane was bound Louisville and was departing Chicago when staff informed passengers that the plane was overbooked. 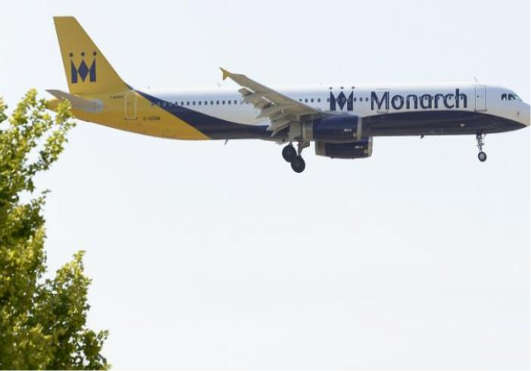 But because the aircraft was flying on a Sunday evening, nobody volunteered to be removed, according to reports. After the man, who claimed to be a doctor, refused to leave the plane staff called in police to forcibly remove him. The harrowing video clip shows the man screaming and shouting as he is wrenched from his seat. He looks visibly distressed and injured as he clings onto part of a doorway on the plane after the ordeal saying he wants to go home. Oscar Munoz, CEO of United Airlines, said: “This is an upsetting event to all of us here at United. I apologise for having to re-accommodate these customers. “Our team is moving with a sense of urgency to work with the authorities and conduct our own detailed review of what happened.